This little device by Furbo is hands down the best dog treat dispenser with camera. The full high definition camera (1080p) easily connects to Wifi, and allows dog owners to see their dog and toss them treats while they’re at work or away. 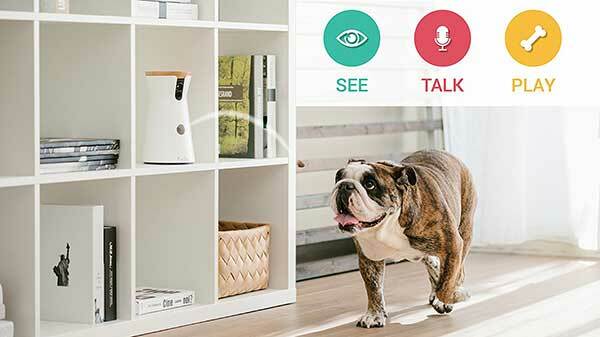 The two-way audio allows pets and owners to interact anytime! With the Furbo treat dispensing dog camera, dog owners won’t have to feel bad leaving their dog home alone. 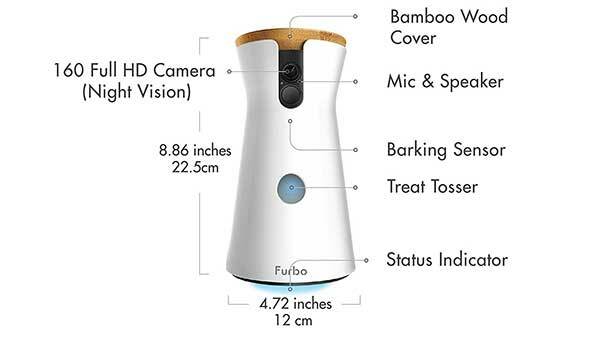 The full HD camera and two way audio system allows owners to interact with, and give their dog treats just by swiping on the screen of their smartphone using the Furbo phone application. The Furbo phone application for IOS or Androids allows dog owners to see whats going on at home while they’re away, and can be set up to send notifications if the dog is barking. To toss treats, all the user has to do is swipe on the screen. The Furbo treat dispenser for dogs can hold up to 100 treats. 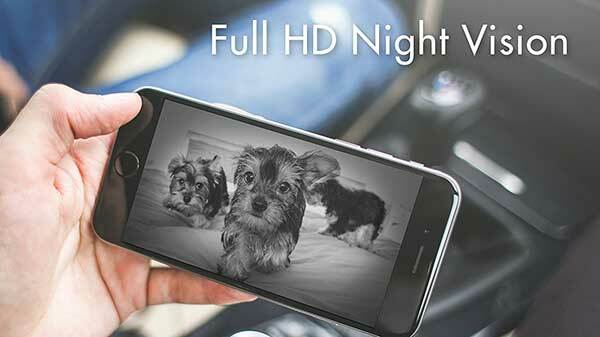 The camera provides full high definition video display day or night. The wide angle (160 degree) has a 4x zoom feature. It can also be synced with Amazon Alexa, so users can tell Alexa to send their dog some treat every 2 hours, or whatever they’d like. To read more about this dog treat dispenser camera on Amazon, or to get the latest pricing information, just hit the check it out link at the top of the page.